Almond butter is an excellent long-term survival food as well, as vacuum-sealed jars of almond butter can last on the shelf for nine months or even longer, and for up to three months after being opened. The Gourmet Survivalist has created a very helpful page on long-term storage options for both almonds and almond butter. 2) Brown rice. 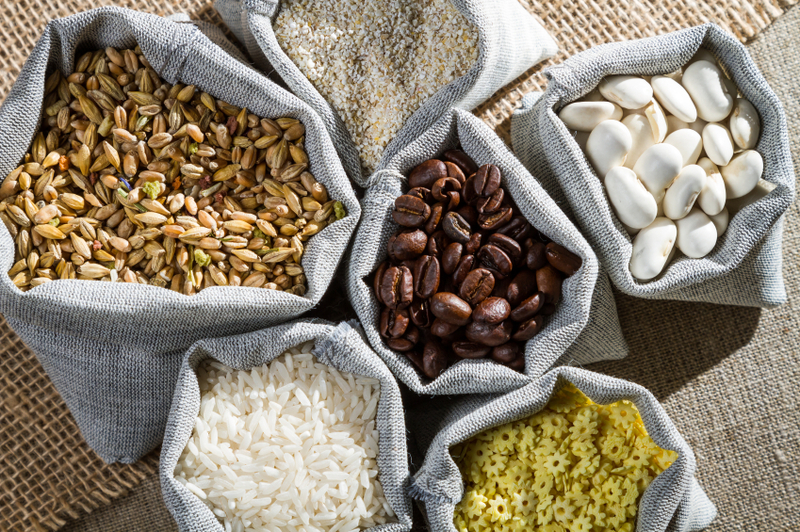 When most people think of long-term storage foods, the quintessential beans and rice probably come to mind, as both of these foods last an incredibly long time when stored dry. Though it will not last as long as white rice, brown rice is a complete food that will provide real nourishment in the event that the food supply becomes disrupted. When stored in dry-sealed containers, brown rice stays fresh for around five years, and potentially even longer, without going rancid, which is why storable superfood companies like StorableOrganics.com include it in their kits. 3) Chia, hemp, and other "superfood" seeds. An absolutely essential food category you will want to keep handy in anticipation of social upheaval are superfood seeds. Chia, hemp, and various other varieties of superfood seeds will last several years on the shelf without going rancid. Chia seeds in particular are an excellent survival food, as they are loaded with complete protein, omega-3 fatty acids, and a host of vitamins, minerals, and other nutrients. And even more impressive is the fact that chia seeds can very easily be added to water or other liquids to almost instantly maximize their nutrient bioavailability. Organic chia seed is available at the Natural News Store. 5) Carrots. Carrots are somewhat similar, in that they can be stored somewhat long-term when unwashed and covered with sand or mulch, which act as a type of earth-based "bloom." According to Sweetwater Organic Farm, carrots stored in this manner in dark, cool, and well-ventilated areas will last for up to five or six months, ensuring the availability of fresh, nutrient-dense produce no matter how limited the food supply becomes on a societal scale. Carrots can also be stored in the freezer for up to a year when peeled, cut, and blanched.